Receive up to $400 off your purchase of any New Kia vehicle. 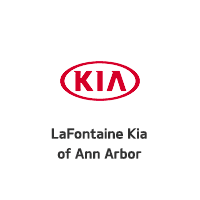 Kia Motors America, Inc. (KMA)* is helping recent graduates make the transition from school to their careers by making it easy and affordable to buy a new Kia vehicle by offering a $400 discount incentive in addition to certain other incentives offered by KMA. Not all incentive programs are compatible. See dealer for details. Requirements: Eligible customers must be graduates up to twelve (12) months after graduation from, an accredited four-year college or university, accredited nursing school, accredited two-year college, or an accredited masters, doctorate, or other graduate degree program in the United States. Customers that have graduated within the past 12 months may provide either a copy of transcript(s) from the accredited institution indicating their graduation date, or a copy of their diploma that includes all pertinent information (including the date of commencement). Eligible customers must also be 18 years of age or older, and residents of the fifty United States or District of Columbia. KMA $400 discount incentive is available with all new and untitled 2016 Kia vehicles. Retail delivery of an eligible vehicle must be taken out of dealer stock during the program effective dates.